Use the Anemometer to measure wind speed in a variety of experiments. 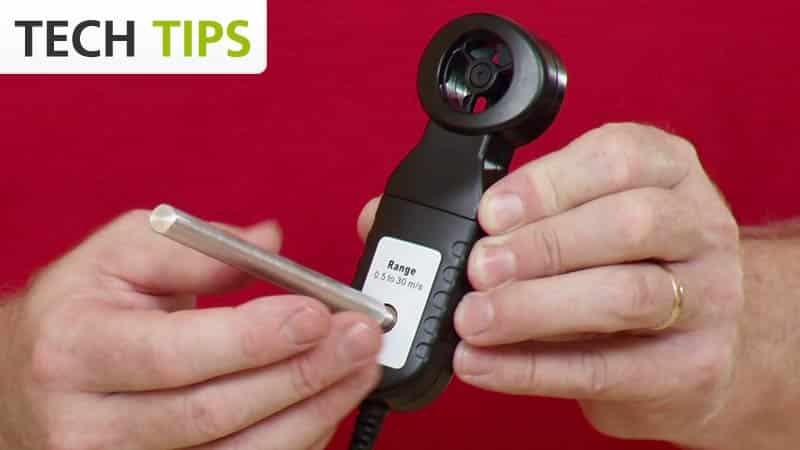 Hold the sensor in your hand to measure wind speed in dynamic environments or use the accessory rod to position it in front of wind tunnels or fans. The Anemometer may require a compatible interface and software. Choose a platform below to see compatible interface and software options. The Anemometer is fully supported with LabQuest 2 (version 2.8.5), a standalone data logger with built-in graphing and analysis software.